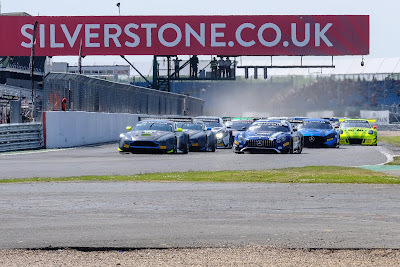 It would be a shame to think that R-Motorsport's otherwise faultless display in the Blancpain GT Series Endurance Cup meeting at Silverstone over the weekend could come to nothing if they fail to win their appeal for alleged sporting regulation irregularities. 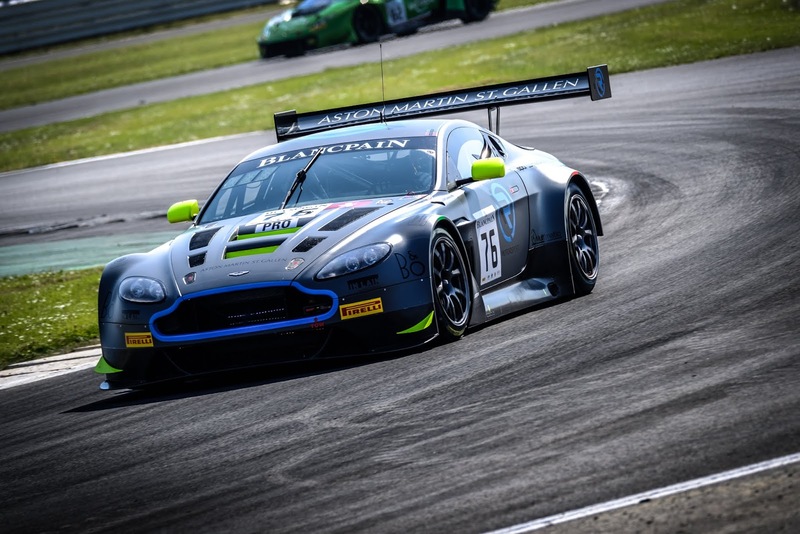 With the team having come away form the opening round of the Blancpain Series in Monza with a DNF and a lowly P9 finish, they had hoped that the expanse of the Silverstone circuit would allow their two V12 Vantage GT3's to stretch their legs. 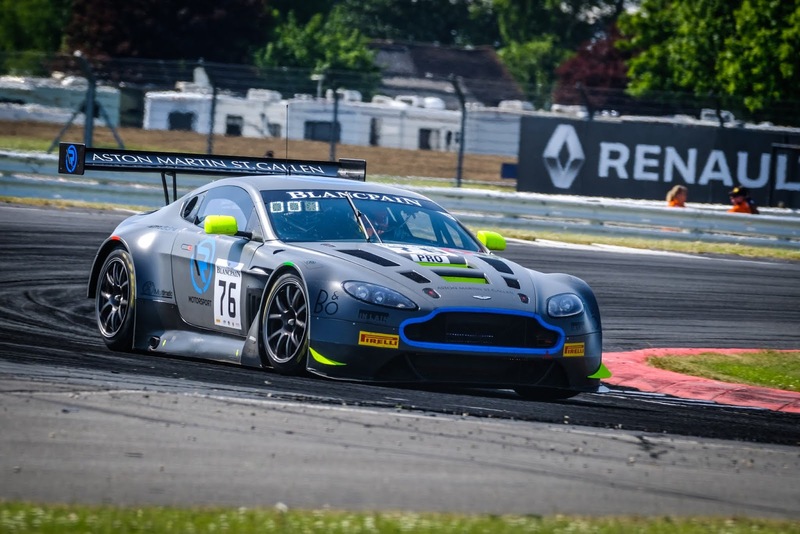 With a steady improvement between their two cars over the Free Practice and Pre Qualifying sessions, its was Mathieu Vaxiviere who made the defining statement for the #76 car early in Q1 this morning setting a time of 1:56:637 - a time that would not be beaten although Nicki Thiim was required to put in a quicker lap in Q3 to improve their three way average lap time to retain that position at the end. With the exception of less than one complete lap, the #76 car put in a faultless light to flag performance to take the overall win at the end of the three hour race. Vaxiviere started the race for the team and for a time had the team's sister #62 car acting as 'wing man' as he built up a lead from the #88 Mercedes. Pitting one lap later than the #88 car, Jake Dennis found himself coming out of the National pit land just behind the Mercedes but by the time they had reached Luffield for the first time, the Red Bull F1 tester had reclaimed the overall lead that they would not be relinquished again. That left Thiim with the relative simple matter of just having to drive for his hour long stint managing the gap to the cars behind which he did leaving eleven seconds in the bag at the chequered flag. 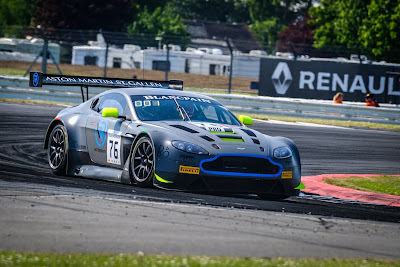 For the sister car #62 car of Alex Brundle, Marvin Kirchhofer and Maxime Martin, they were never able to quite match the pace of the #76 car and would ultimately finish P5 overall - a finish that was still an improvement from last time and comes with a decent haul of points. 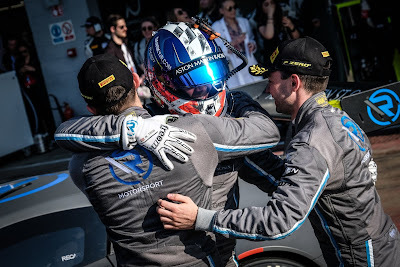 For the #76 car, there remains this appeal process that remains in place after series officials found that the cars data logger had not collected any data during the Qualifying process earlier in the day. As the team formally appealed that decision with the Stewards they were allowed to keep their qualifying position for the start of the race. Until the series conclude this appeal process the race result shall remain provisonal. 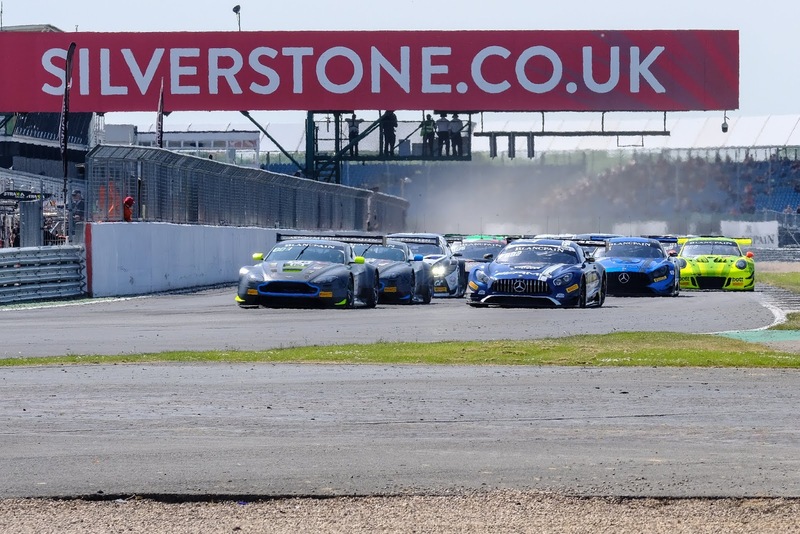 Either way in that process, Silverstone was a still a magical event for the team running the oldest iteration of GT3 car in the top flight European series. Whilst the alleged transgressions are matter of fact, they were not performance enhancing so what was seen on track was true pace. The teams now just have two weeks to settle themselves for the day to night race that is the 1000kms of Paul Ricard.